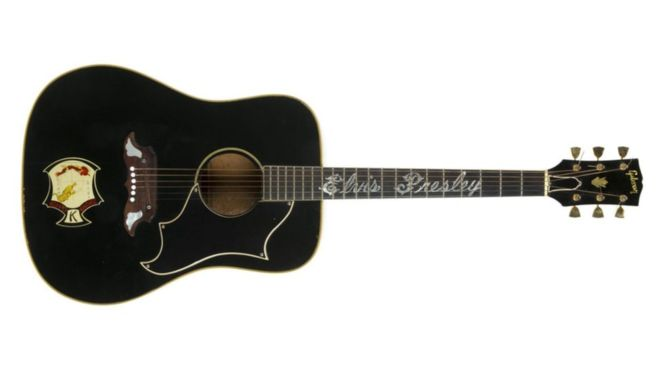 A guitar that Elvis Presley was given by his father has sold for $334,000 (£230,000) at an auction in New York. It is thought that Vernon Presley changed the finish on the Gibson Dove to black after his son earned a black belt in karate. Presley gave the guitar to a fan during a concert in North Carolina in 1975. His first piano fetched $140,025 - about $60,000 under what had been predicted.